Today, 4 billion people are impacted by severe water scarcity and drought, affecting communities across Africa, Asia, the Middle East, Europe and the Americas. Agriculture, industry and the environment are seriously impaired by water scarcity and prolonged droughts. Rising water demand and climate change will only intensify water scarcity in the coming years. To counter this we have to put in place a wide range of measures to adapt to climate change and combat growing water scarcity and drought. Governments have already identified water scarcity as a major priority through the Sustainable Development Goals, agreeing “to address water scarcity and substantially reduce the number of people suffering from water scarcity”. This, and the growing emphasis on climate adaptation, creates new opportunities to tackle water scarcity around the world at an unprecedented scale. The outcomes of the recent Water Scarcity and Drought Summit held in Brisbane, confirmed the wide spread need to build resilience to water scarcity and drought as a fundamental component of planning for economic growth, societal wellbeing and environmental sustainability. High-level business leaders and policy makers agreed that we need a major shift in the current paradigm. Governments, businesses and civil society have to become much more pro-active using a portfolio of measures to address scarcity and drought. How will this be achieved? First, we have to move beyond the traditional way of solving water scarcity by only building large water infrastructure, such as dams, reservoirs and pipelines, to store and increase water supply. We have to address water scarcity and drought not only through building large infrastructure but focus on pro-actively managing the increasing demand while improving supply. This requires us to work-out new policies, regulations and incentives to reduce water abstractions, re-use water and replenishing water resources. In fact we need new policies and regulation that will allow us to do more with less, and cascade water from one use to another. Second, we need to create water markets that allow water users to trade the right to use water. In (local) water rights trading, water gets allocated to higher economic values. For example farmers in the Murray Darling Basin in Australia can sell their right to abstract and use water to neighboring farmers or industrial water users. The system allows water to be bought by the government to maintain environmental flows in the river. The key to a successful water rights trading scheme is securing legitimate water rights and promoting investments in water use efficiency. The latter becomes more and more obvious as the value of water is no longer hidden and water starts having a real price tag. It is only then that the financial and economic cost of unproductive water loss starts to bite. Third, we need to embrace a whole range of new technologies, including those already on the market and those yet to reach the market. Desalination and water re-use technologies have proven their value and increasingly use much less energy. Decentralized water systems using rainwater harvesting and local water re-use can change local conditions dramatically. Nano-technology to purify groundwater can help avoid drought and improve human health. Using a much broader set of engineering solutions is essential going forward. It requires us to ensure that our engineers get better access to the latest developments and are part of a much faster technology transfer. But, we also need to update our national engineering standards so that latest technology developments are included and can be used. To be successful, these solutions need fertile ground from which to sprout. This is the values and attitudes of citizens towards water. To tackle water scarcity and drought, we need significant efforts to raise awareness and change attitudes: appreciating the tremendous value water has for our lives, families, communities and nations. Only with this attitude can we create the desire to care for water and not waste it. 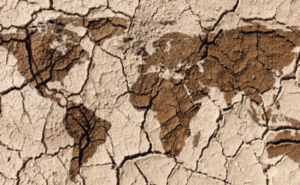 A new action agenda on water scarcity and drought, DroughtAction, presents an opportunity to build a coalition of actors that bring together the relevant challenges, opportunities and solutions. It is an opportunity to bring business, governments, NGOs and knowledge institutions together to build resilient water systems and institutions. In doing so, we can lower the risks and impacts, stimulate investments and create benefits from pro-actively combatting water scarcity and drought.